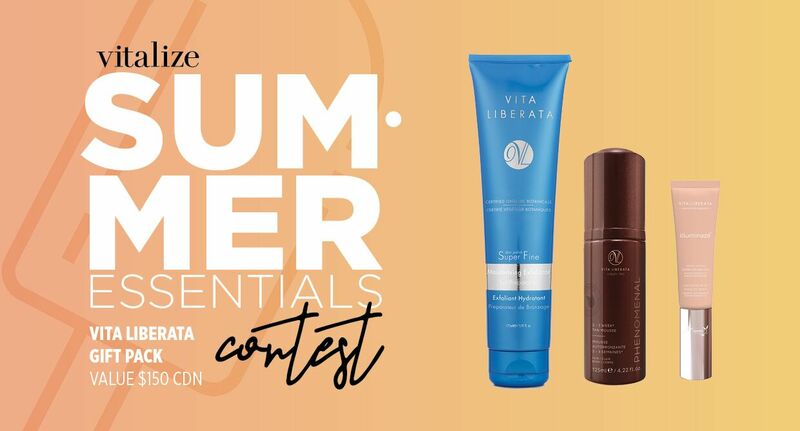 Vitalize Canada's Summer Vita Liberata Contest Giveaway! Vita Liberata Contest Giveaway! $150 Value! Posted on June 25, 2018 July 12, 2018 . Vitalize Canada and Vita Liberata have teamed up to give you a summer essential Vita Liberata Gift Pack, valued at $150 CDN! Enter for your chance to win your FREE summer glow kit!